Rumor is now going that the car will surprise everyone and show up at Detroit. A middle finger to Ford. The 17th is when the GT500 is unveiled too. Ya, thats why i somewhat believe the rumor. I hope it's just them renewing their hold on the name. Looks up level. I wonder how comfortable that center stack will be for the passenger. WTF is going on with the center console, near the passenger, having that wedge section with the buttons on it??? I hope they are going to change that steering wheel up. That doesn't look like a $160,000 car steering wheel. 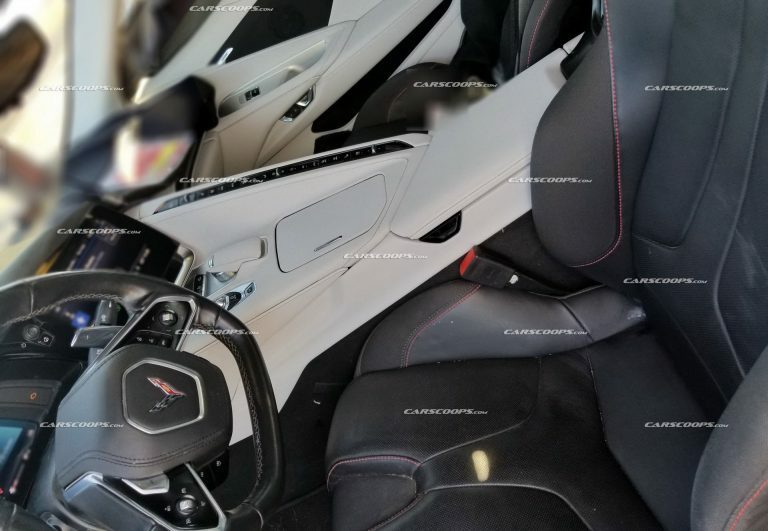 A coincidentally timed gathering of historic mid-engined Chevrolet Corvette prototypes has led to rumors that General Motors will reveal the next generation of Corvette, the C8, at the 2019 Geneva Motor Show in March. Seems like the rumors that the mid engine vette will replace the C7 might be true. Reminded me of a Lotus. I'm fine w it looking like a ferrari. So far this car is looking good to me. I sill wished the CERV III concept became the Corvette of the time. Some crazy stuff was in that car. TT LT5 V8. Or the Corvette Indy prototype.